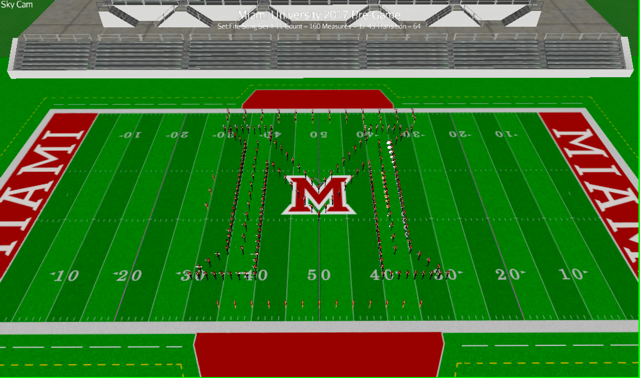 The marching band practices for 1 1/2 hours Monday-Friday focusing on specific areas of music, a portion of a performance or drill. Using software called Pyware, a designer can create drills — the specific movements a band performs — in less time than if they used a pencil and paper. The software has been around since the late 1980s, but it is constantly improving. 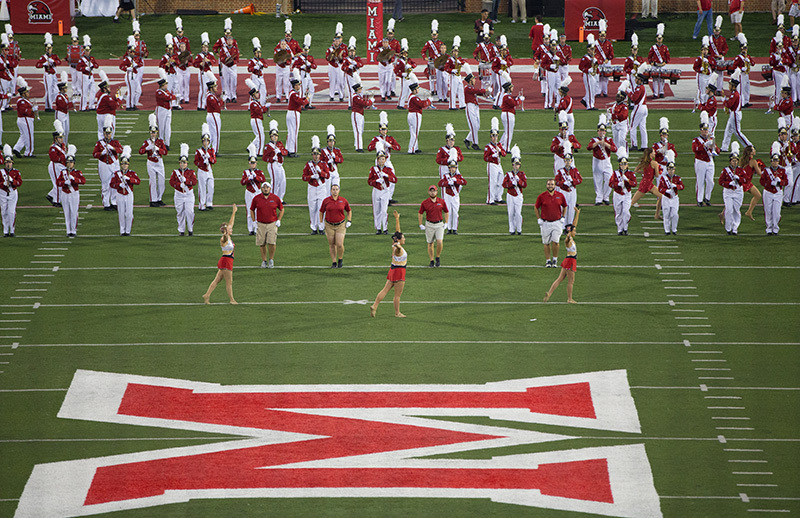 Hannah Sproat, sophomore speech pathology and audiology major, plays the flute in marching band and finds the Pyware software useful before she starts plotting a drill. Lytle hosted Ward Miller, brass captain head of the Blue Stars Drum and Bugle Corps, in a guest lecture about drill design in Lytle’s Marching Band Techniques course. His lecture was similar to a “writer’s clinic,” in that it focused on effective design using Pyware. “Pyware is a tool, but merely using it does not make you Shakespeare … Good design creatively captures the audience’s attention by highlighting the music’s impact and reflecting it in the movement in the field,” Lytle said. While computer-aided design isn’t particularly new or revolutionary, there are still some innovations occurring on the student side. In the past, students got paper copies of the entire field image that the designer wrote and director taught from. Now, students use a dot sheet that gives text instructions specific to individual positions. “What is most important in the learning stage is what the individual needs to know about their own personal drill, not necessarily everyone else’s,” Lytle said. While students find the dot sheet useful, Lytle is looking to upgrade to an app called Drillbook Next to use on a student’s smartphone or tablet rather than the dot sheet.